Look at that freaking awesome rainbow of creme polishes!! I was hoping they’d turn their back and I could sneak these out but I think they were suspecting that, so I contained myself.. it was hard. Jokes aside, Fairmaiden also makes some amazing holo and shimmer polishes! 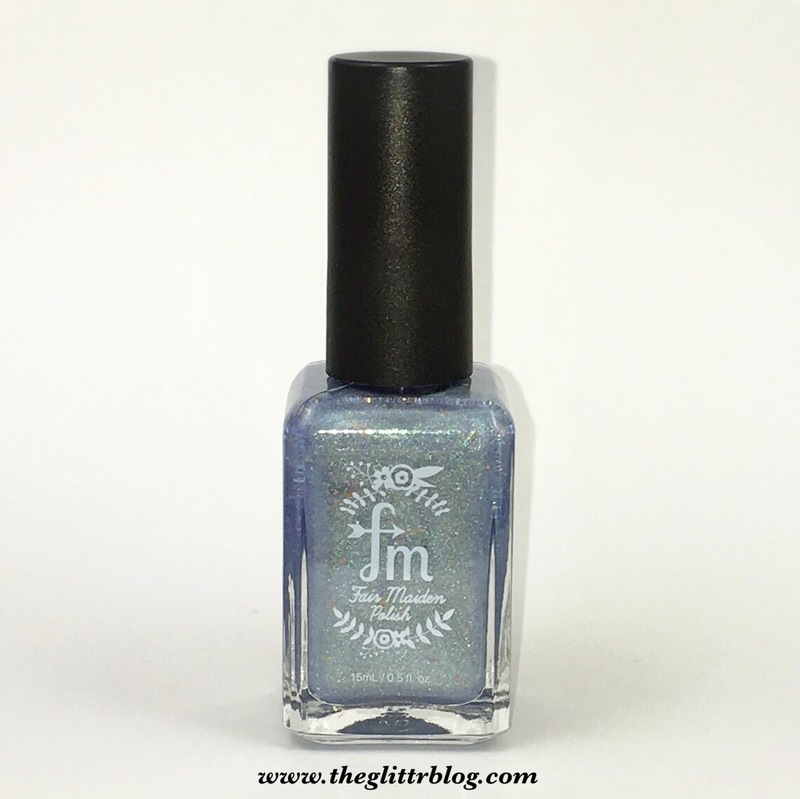 This is Stardust, a gorgeous light blue shimmer polish! I decided to use it as a base and use some vinyls to add a little nail art to it. 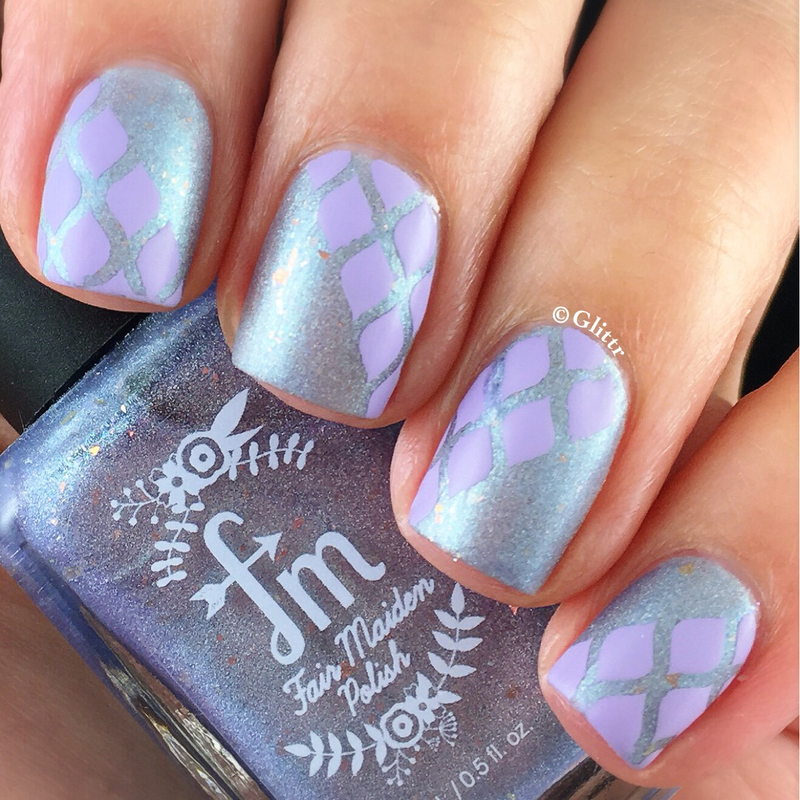 I used WhatsUpNails fishnet stencils and an Island Girl polish with the lovely name of 1519 – so creative Island Girl! 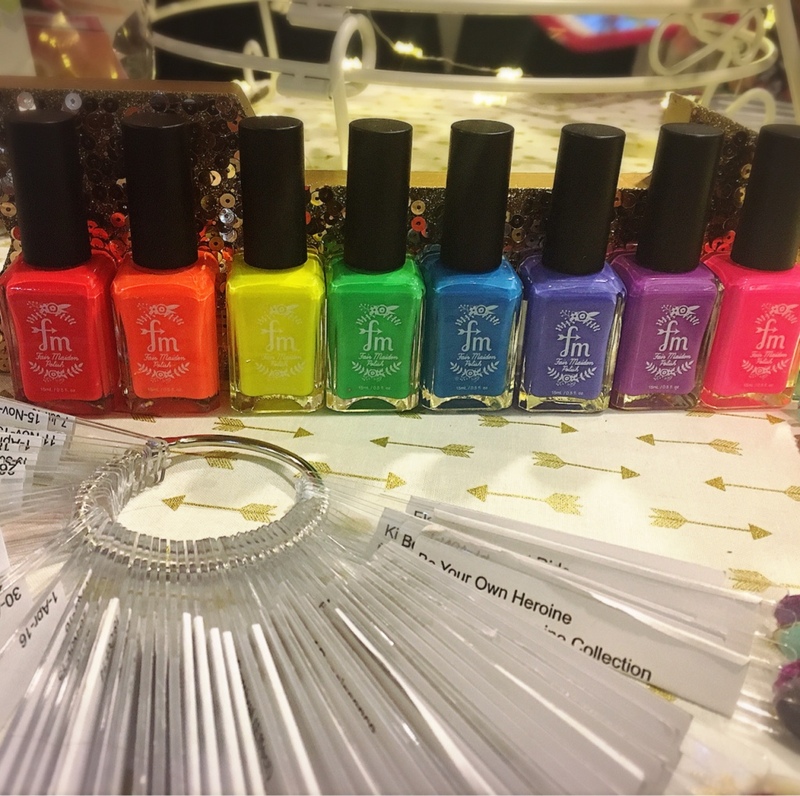 I hope you enjoyed this quick post on the Fairmaiden Polish I had to show you and be sure to check out their website to pick up some of they’re awesome products!